The Drifters left us with a legacy of wonderful songs which still fill dance floors to this day. One of the first really good quality tribute bands to the original legends are now available to hire today. Hireaband is proud to present The Magic Drifters. The Magic Drifters are the UK's best tribute to the original 50's and 60's icons, The Drifters! Fall back in love with the smooth soul and doo-wop sound of The Drifters, performed beautifully by The Magic Drifters. 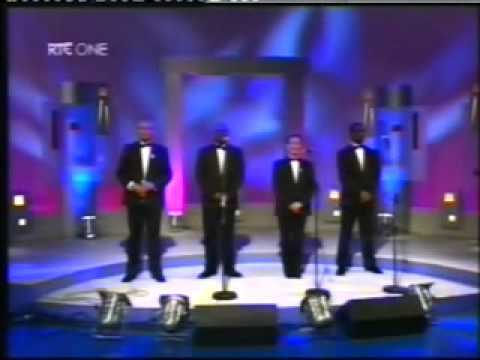 With over 60 years of combined experience within the music industry, The Magic Drifters have perfected The Drifters world famous harmonies and flawless choreography! Featuring well-loved hits like Under the Boardwalk, Save the Last Dance for Me, There Goes my Baby and many, many more! Let The Magic Drifters transport you back to a time when rhythm and blues filled the airwaves and poodle skirts were all the rage! Sorry, The Magic Drifters doesn't have any photos right now Send us an enquiry and we'll get back to you, or check out the rest of the act profile. We don't have any reviews for The Magic Drifters yet. In the mean time, check out our profile or listen to some of our samples.